It’s not just our tag line. It’s our guarantee to you, our customers, that you will receive the very best in service for your vehicle. Be it a car, truck or SUV, foreign or domestic, Andy’s Valero Service Center will give it the attention and care it deserves. At Andy’s Valero we specialize in doing work for dealer cars and we can do that for your vehicle too! Buying a used car? We will do a 72 point inspection so we can make your decision easier. We also do smog checks, air condition services, transmission service, and scheduled maintenance, oil changes, and brake work. And if your check engine light is on we can diagnose it and let you know why it is on and what it will take to fix it. We offer many services for all types of vehicles. Some can be found on our Services page but if you don’t see a service listed there, feel free to Contact Us and ask. We look forward to hearing from you! We have different hours for our gas and service areas. Monday – Friday 6:00am to 11:00pm and Saturday & Sunday 6:00am to 10:00pm. Andy’s Valero Service Center is proud to serve the communities of the east and south bay areas including, Fremont, Hayward, Newark, Union City, Alviso, Niles, Milpitas, Fairview, Cherryland, Castro Valley, San Lorenzo, Ashland, Pleasanton, Dublin, San Jose, Palo Alto, East Palo Alto, Mountain View, and Menlo Park. 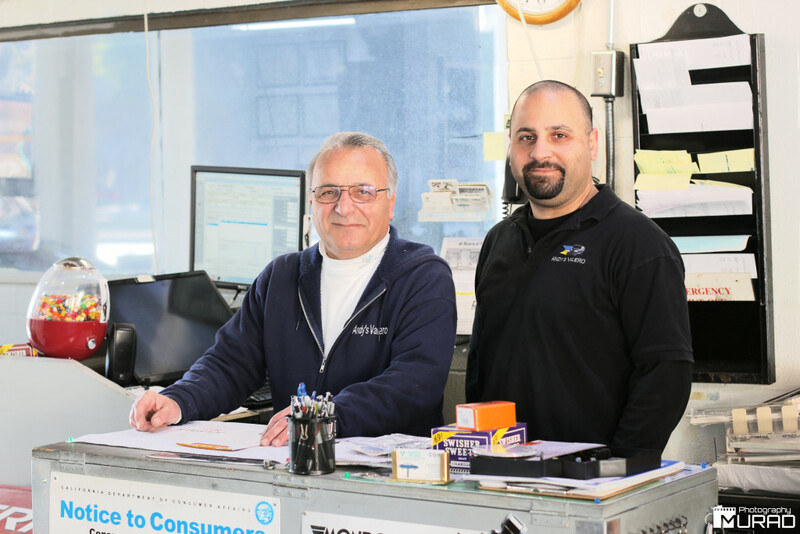 With over 25 years of business and automotive experience, Andy’s Valero Service Center has the skill, talent and ‘know-how’ to care for every automotive need!